A CAC related process is locally listening for commands on port 62522. This process is running as SYSTEM. The vulnerability is related with a function called launchDownloader. The format of the network packets that trigger the vulnerability. The vpndownloader.exe binary is vulnerable to DLL planting. 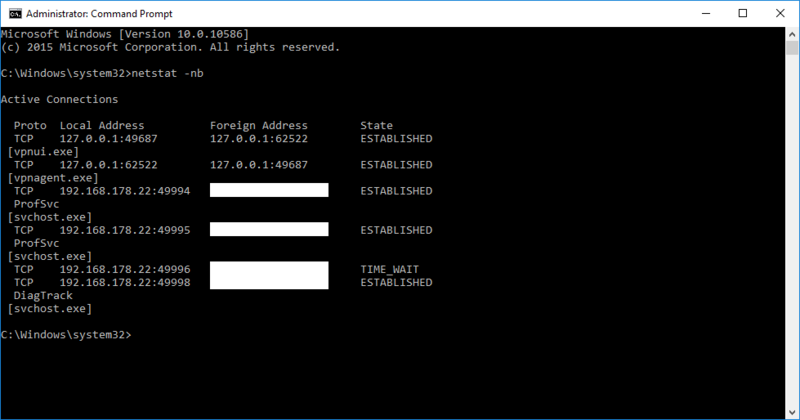 Having a look at the current connections, it is possible to identify that the vpnui.exe process is connected to port 62522, which is open by the vpnagent.exe process. After attaching a debugger to the vpnagent.exe process and inspecting the assembly code for a while, it was possible to understand that the code that deals with the commands serialization into and from network packets is contained in the vpncommon.dll library. This library exported symbols shedded some light on the existing commands. The name of the exported symbols indicate that the protocol being used is based on a Type, Length and Value (TLV) structure and is used in a Inter-Process Communication (IPC) mechanism. One interesting TLV available is the CLaunchClientAppTlv. Exported symbols related with the CLaunchClientAppTlv class. It seemed that this command is the one that was being used to exploit the vulnerabilities. Looking at the functions of the CLaunchClientAppTlv class, I noticed that one of the constructors receives as a parameter, a reference to an instance of a class called CIpcMessage. Once again the exported symbols of the vpncommon.dll library help understand what this class is all about. Exported symbols related with the CIpcMessage class. Reconstructing the class from the exported symbols undecorated name and by looking at the disassembled code of the get methods of the class, I was able to understand how the class fields are organized and the type of each field. Taking the network packet created by the Google POC into consideration, it was clear that these fields map one-to-one with the data sent to the socket. The Google POC uses a Global Unique Identifier (GUID) in place of the fields ipcResponseCB, msgUserContext, requestMsgId, and returnIpcObject which all combined have the same length as a GUID.